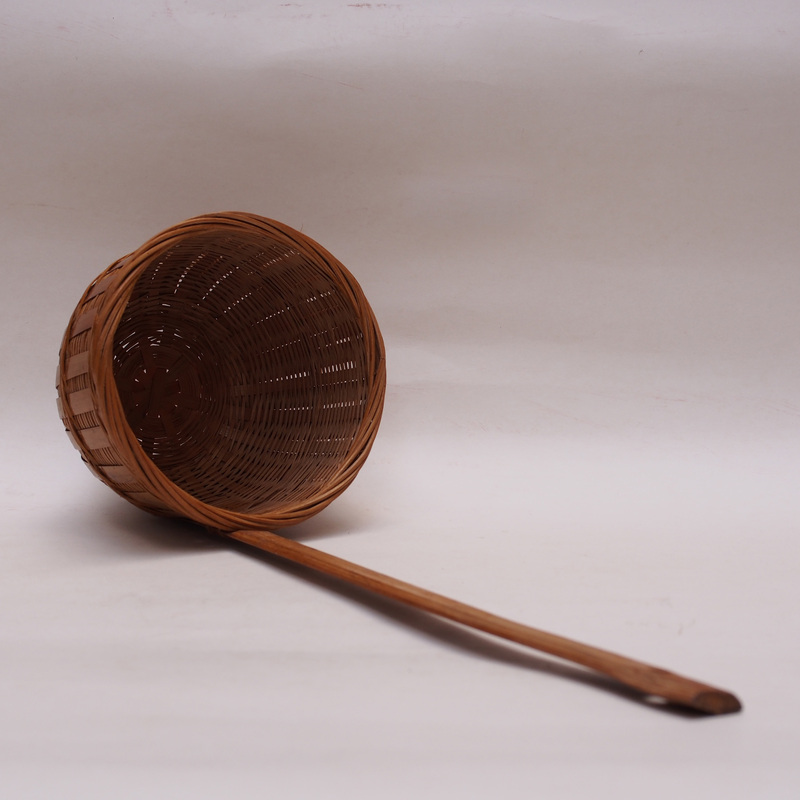 Before there are plastic or stainless steel drainers, the one made with bamboo is a household item. Bamboo is a faster growing plant, a material that was employed in most household objects; chairs, sieves, baskets etc. The technique of bamboo weaving became a special craft in China and Japan alike, but with the arrival of newer material such as plastic, the craft of bamboo weaving is becoming a dying art. The bamboo strainer is perfect for making noodles.